New HDVR (HD DVR) Cards with our AVM (Advanced Video Management) software allow you to use traditional coaxial cables to record in HD quality. 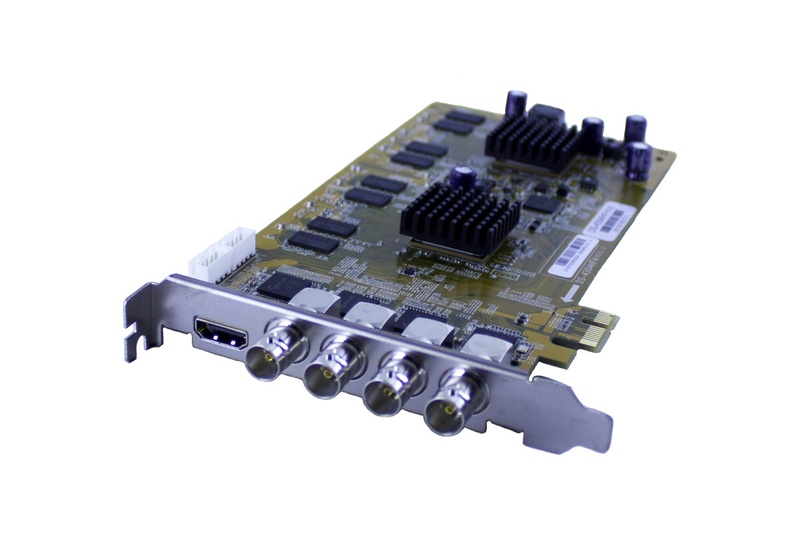 This 4-Channel HD DVR card is a PCIe style card, which will insert into a Windows 7 or Windows 8.1 PC to allow you to turn that PC into an HD video recorder with industry-leading playback and remote access to your HD cameras. This Advanced Video Management HDVR card provides ability to record from new HD-SDI cameras which transmit HD video over standard BNC Coaxial cables. These cameras provide zero-latency like HD IP cameras do, and allow you to use existing analog cabling to deliver HD resolution video recording. Each of our AVM HDVR cards comes with free remote setup and configuration of the AVM software too! This means, you just call our technicians, and we will connect into your PC to setup the AVM software for recording and even configure your internet connection to setup the remote access on your phones and remote computers. Add more cameras to your system at any time, by combining another HD4 HD-SDI DVR Card, AVM series CCTV DVR card or adding HD IP Licenses to allow a true Tri-brid arrangement for recording. With the AVM system, your security cameras are future-proof! You can always expand and add newer technology cameras while still making use of your older CCTV cameras. Traditional Standalone Style DVRs do not permit this capability.